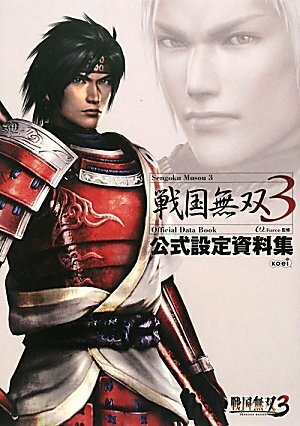 This is the art book for 戦国無双3 or Samurai Warriors 3. The game is based loosely on the Sengoku ("Warring States") period of Japanese history. You can find all the 37 characters and their designs in this book. There are high resolution 3D renders as shown in the game as well as illustrated version, including their weapons. The graphics are quite detailed and lots of the intricate stuff like fabric textures, cravings are all shown clearly. The costumes are inspired by that time period and comes with selected design patterns highlighted, like design carvings on armour and logos, etc. For the most part, they look really believable, something that actually can be worn, unlike those you see from Monster Hunter, but maybe this is because there's some historic reference to based on. Right at the back are more information on the characters relating to the game, like the stuff they say. There's also interviews with the creator and voice actors. Nice book for artists into this genre.